Every computer has a processor, but it’s the core, a processing unit, which defines its actual efficiency and performance. 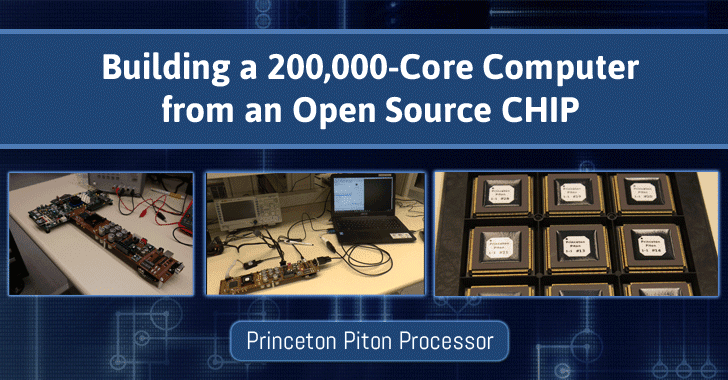 Piton is an open-source processor based on OpenSparc, which is a modified version of Oracle’s OpenSparc T1 processor. The current version of the Piton chip measures 6mmx6mm with over 460 Million transistors (each 32nm), making Piton the largest chip developed by academia in size. "The chip we’ve made is among the largest ever built in academia and it shows how servers could run far more efficiently and cheaply," said David Wentzlaff, a Princeton University assistant professor of electrical engineering and faculty in the Department of Computer Science. Another innovation by the researchers is a ‘Memory-Traffic Shaper’ that acts as a mediator between the demands of different apps accessing memory on the chip and waving them properly, so they do not block the system.